The milestone mob case has solved many more Chicago Outfit killings than first thought. When the curtain went up on Operation Family Secrets, authorities said the plot involved 18 old gangland murders. But 18 is just the number of killings that were part of the court case. The I-Team has learned that federal authorities consider as many as 40 mob murders now solved because of their investigation. The mob's hit parade has been rolling since 1919 with corpses in cars and alleys; on street corners, sidewalks and alleyways; even in back yards and barber chairs. And in almost 90 years of keeping the stats, just a few Outfit murders have ever been solved. "Whenever we had an organized crime homicide in Area 4, they were some of the hardest cases to work because even their own family members wouldn't talk to you," said Steve Peterson, Chicago police. When you're a contract killer for La Cosa Nostra, or the LCN, part of the deal is, you don't get caught. "This is the first investigation that I can recall where so many murders are charged...it goes to the heart of the LCN and that is a bunch of murderous thugs," said Robert Grant, FBI. 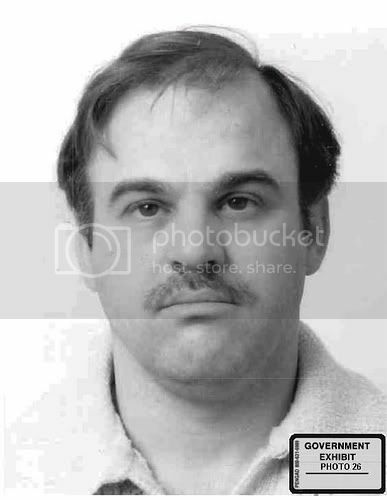 One man was *the* most murderous of the thugs: Nick Calabrese, mob hitman-turned-government informant. During the summer-long trial, Calabrese admitted that he personally took part in more than a dozen gangland killings. But the I-Team has learned that during months of interviews with Chicago FBI agents, Nick Calabrese identified the Outfit triggermen in many additional murders that were never revealed in court. "About 20 or so that Nick Calabrese provided information on," said John Scully, Family Secrets prosecutor. "I haven't looked at it in a while, but there are a number of murders beyond the ones that he testified about. Again, that he was not involved in, but through conversations with other mobsters." Retired federal prosecutor Scully revealed the information during a recent interview about the Family Secrets case. While Scully declined to provide details, the I-Team has learned that the case of one mob murder victim is atop those cleared by Calabrese. Manny Skar, a mob gambling functionary was mysteriously shot dead in 1965 as he emerged from his car near the garage of this Lake Shore Drive apartment house where he and his wife lived. Skar was about to snitch on the Outfit. According to FBI interview reports, known as 302's, Nick Calabrese told agents that the hit man who rubbed out Skar was none other than Joseph "Joey the Clown" Lombardo. Mob investigators believe it was Lombardo's first hit, carried out as a requirement of The Clown's induction into the outfit. Skar's murder and the numerous other "bonus killings" cleared by Nick Calabrese, will be used by prosecutors at the upcoming sentencing of Lombardo, Nick's brother Frank "The Breeze" Calabrese and "Little Jimmy" Marcello. "At some point, if they haven't done it already, the FBI will be advising the police departments that have an interest in those murders now that this case is done," said Scully. FBI spokesman Ross Rice confirms that the bureau is providing local authorities with details of the old mob murders, but he says in some cases, informant Nick Calabrese didn't even know the name of the victim. -Sam Annerino, 1971. A top south suburban enforcer, taken out by masked gunmen in the middle of an Oak Lawn street. -Anthony Reitinger, 1975. Mob bookie, gunned down in Mama Luna's restaurant on the Northwest Side. -Tony Borsellino, 1979. A mob assassin shot five times in the back of the head and dumped in a Frankfort farm field. -Sam Guzzino, 1981. Outfit bodyguard found mangled in a southwest suburban ditch. -Ronnie Jarrett, 1999. South Side mob lieutenant ambushed on his Bridgeport doorstep. Besides Nick Calabrese lifting the veil of secrecy on as many as 20 additional Outfit murders, he has also disclosed details of a number of botched gangland shootings, where the target survived. Defense lawyers declined to comment on Calabrese' additional statements, saying that his FBI records are still under a court-protective order.